UE's New Karl Scheit Guitar Edition presents a quintessential piece of the guitarist's repertoire. 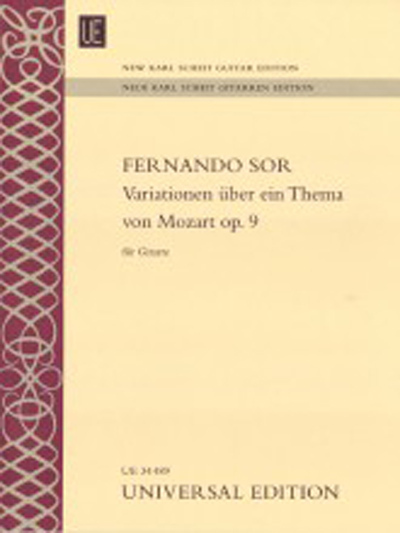 Mozart had a great impact upon Fernando Sor, and Sor has had a great impact upon classical uitarists for generations, with his Variations on a Theme of Mozart among the greatest challenges. Editor Johannes Monno, in his preface to the publication, points to the "brilliant finale that makes great technical demands on the player," but would we expect less from Fernando Sor? For advanced players.